Want to learn archery? 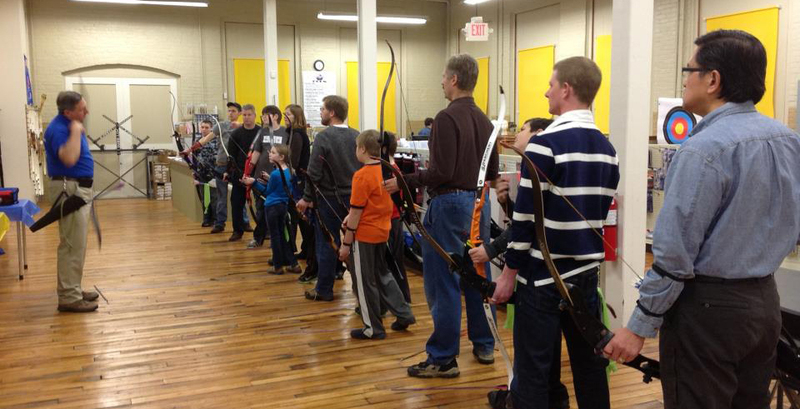 There’s no better place to start than with an archery class at Ace Archers! Our focus in class is always about having fun while learning how to shoot archery. Each two hour class has patient and experienced USA Archery Certified instructors and coaches and includes all equipment. Everyone eight years old and up is welcome in class. We have three archery class types: Beginner, Intermediate and Tournament Class. Monthly we have special events, including “Can You Shoot It?™” and “Shooting for Stars!™”. Class Advancement is according to skill. As you get more skill full you are invited to the next level. To attend an archery class, you must buy a Class Card. There times when we do not hold class due to conflicts, such as dates when we hold tournaments at the shop. Please check the calendar for class dates.